The state’s top teachers with the first lady and Gov. Ige. Math teacher Sung Man Park has been coaching winning students at Washington Middle School since 2009. Now it’s his turn to be honored as the 2017 State Teacher of the Year. 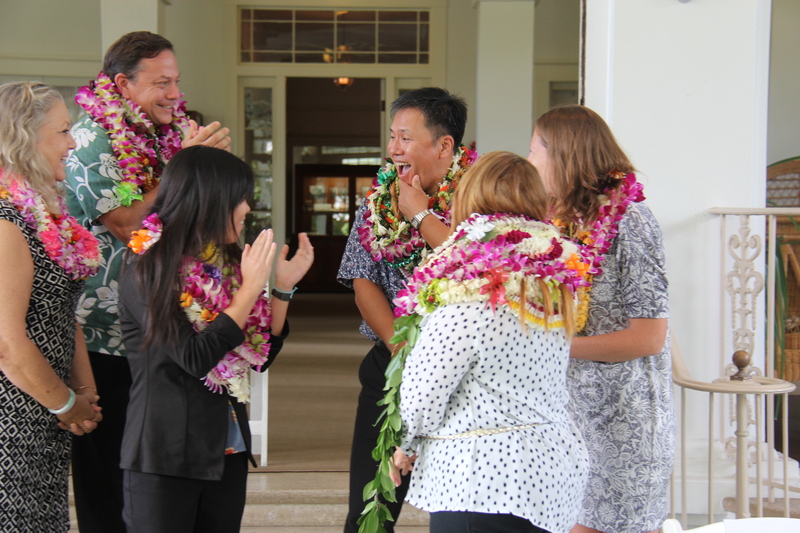 He will go on to represent Hawai‘i in the national teacher competition in April. Park was praised for his dedication to each student’s success at a school where nearly 60 percent of the student body is considered economically disadvantaged. Under his coaching, the school’s “mathletes” have won the MATHCOUNTS state competition for the last six years, beating out public and private schools. His former students — including those at Yale, Harvard and MIT — return to mentor current students. “To me, teaching is the greatest and most honorable job in the world because we can change other people’s lives,” he said. 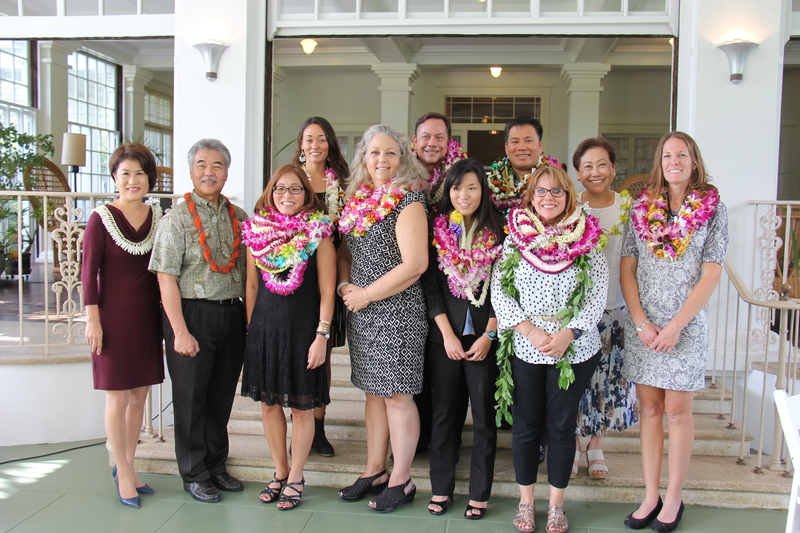 Other finalists were Luane Higuchi, Wai‘anae Intermediate; Tracy Idica, ‘Aiea High; Kristi Kusunoki, Kailua Intermediate; David Mireles, Kapa‘a High; Laurie Ann O’Brien, Kea‘au High; Jennifer Suzuki, Maui Waena Intermediate; and Kay Beach, Charter Schools. Award winner Washington Middle math teacher Sung Man Park.